Simply Create: More New Arrivals! Simply Create is now officially burtsing at the seams with new stock all the gorgeous Basic Grey Christmas and Halloween papers and accessories have arrived! 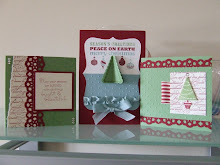 Along with some of the new Cuttlebug folders (not all the new Christmas ones are here yet - sorry)! Will get to taking pictures and will share some of the gorgeous papers with you soon I promise! New classes are being prepared and will be revealed online and via email soon, you won't be able to resist some of them they are stunning!